I have a Facebook friend who excitedly counted down the days until spring break when she could finally spend a bunch of quality time with her kids. That’s beautiful and amazing and inspiring and foreign to me. You see, for me, the looming inevitability of spring break was foreboding, a feeling I’m sure (or at least I hope) many readers may resonate with. It’s not that I don’t love my son or that I didn’t want him to be at home or that I didn’t think he deserved a break from school. Instead, it’s that when my son spends a lot of time at home (especially time alone), he succumbs to boredom, and let’s just say you can’t spell “boredom” without BOOM. However, fortune smiled on all of us, as it worked out that my son was able to spend Monday through Friday visiting a former foster family he’d lived with for a few years before he came to us. This allowed him to get out of the house and see old friends, and it allowed my wife and me to spend some much needed time together. The week was fantastic, aside from the food poisoning (damn you, elusive Wendy’s breakfast!). But the night before we were supposed to pick him up, I lay awake in bed with a knot in the pit of my stomach, which was not related to the food poisoning. As usual, she replied with empathy and wisdom. “That makes sense for you to feel that way,” she said. “However, we have to have a better perspective than that. We’re his parents, his caretakers, the people he looks to when he wants someone to be proud of him. The way we perceive him is important to him, and it’s important for us if we’re going to be the kind of parents he needs us to be. What she said was simple yet profound. Still, I went to sleep feeling anxious about the next day. Even as we drove to pick him up, I felt nervous. But I continually coached myself to keep the right perspective, and that after five days away from us, he would need to be flooded with reassurances that we love him so much and that he’s an integral part of our family (attachment challenges, you know). When I first saw him, I immediately went up to him and crushed him with a hug and smothered him with kisses. I was genuinely happy to see him after so long apart, even with the stink that radiated from the body he’d reportedly only washed once while he’d been gone. It didn’t take long for me to become annoyed, though. (One can only hear their child say, “I’m ‘bout to finna pull up on your block, mothafucka” and burst into self-impressed chuckles so many times.) However, I reminded myself that now was the time to inundate him with love, not the time to ask whether he’d remembered to take his meds all week or to critique his misuse of the word “finna”. The crazy thing is, this perpetual awareness of my son’s need to feel as safe and loved as possible as often as possible actually helped me be a pretty kickass Dad this past weekend (if I do say so myself, which I do because this is my blog and I can say whatever I want). When he asked me to play barefoot catch at the park with him, instead of coming up with some lame excuse, I just said yes. When he asked if he could go with me to the college baseball game, even though it was supposed to be my alone time, I just said yes. When he asked if we could watch one more episode of The Umbrella Academy on Netflix (highly recommended), even though he probably should have gone to sleep instead, I just said yes. For the record, I didn’t say yes to everything he asked for because I’m a pushover. (After all, when he asked me to bring his stereo system downstairs for him, I said hell no.) I said yes whenever I could because I kept the perspective that all he wanted was to feel safe and loved, and it was my responsibility to make sure he felt that way. And you know what? This weekend was amazing. It was a joy. It was the best time I’ve had with my son in months. I can’t remember the last time we laughed so much together. If you read my last post, then you know that recently I’ve been in a bit of a rut. While I wouldn’t say that I’m quite out of it, I do think a lot of that had to do with my perspective. I wasn’t focused on my son’s need to feel safe and loved, and I sure as hell wasn’t responding to that need with safety and love. 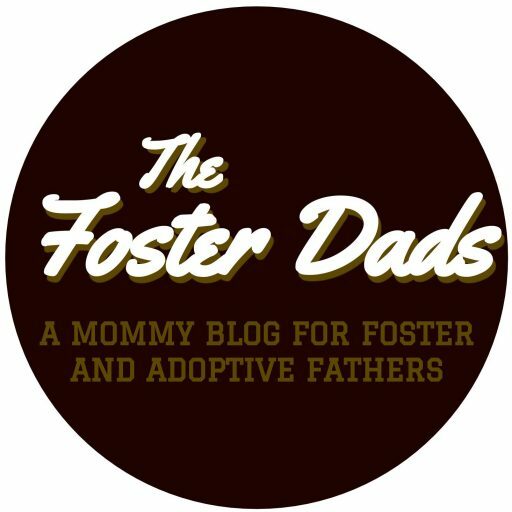 Raising kids in foster care or kids we’ve adopted is incredibly difficult, especially when our perspective gets all messed up. If we see our kids as bad kids, dumb kids, disrespectful kids, irresponsible kids, annoying kids, whiny kids, ungrateful kids, promiscuous kids, clueless kids, or lazy kids, then we’re going to treat them that way, and we won’t find much fulfillment in our parenting. However, in my experience, proper perspective is a gamechanger. I truly believe that when we maintain consistent awareness that the kids in our care need safety and love above all else, then we will find ourselves ready and willing to meet those needs in any way possible. I totally understand how utterly exhausting it can be to meet the needs of kids with trauma histories. I live it every single day. Some of those days, I just want to throw in the towel and settle for being a less-than-stellar parent. But all it takes is a reminder of all my son has been through in his life to adjust my perspective. He’s a kid who just wants to be safe and loved, and as his dad, it’s my responsibility to provide that. I don’t know your kids, but I can pretty much guarantee that they want to feel safe and loved. I hope you’ll maintain that awareness in all your interactions with your kids as you go about your days. It won’t solve every problem by any means, but I believe it will help your days go better. Previous postExhausted. Worn Down. Bitter. I’d really love to share this article (and any others as I get better acquainted with your blog) in our quarterly newsletter for parents. Please email me and let me know if this is okay! Love your perspective. I would love that! You can send a message to our Facebook page to discuss details if that works for you? I’m not sure how to message privately through WordPress.